Fashion is one of the fastest growing industries in the world, producing more than 80 billion items of clothing each year. However, this industry is responsible for a staggering amount of waste – almost 92 million tons end up in landfills each year, with global textile waste at around 70 pounds per person. In addition to waste, the fashion industry generates 5-10% of global greenhouse gas emissions, and uses large amounts of non-renewable resources to produce clothing. With all of these problems, what can we, as consumers, do to decrease our environmental impact? Here is a comparison of three different types of fashion and their environmental impacts: fast fashion, thrifting. With all of these problems, what can we, as consumers, do to decrease our environmental impact? Here is a comparison of three different types of fashion and their environmental impacts: fast fashion, thrifting, and eco fashion. Fast fashion is clothing produced by mass market retailers very quickly that does not necessarily take into account the impacts on the environment or human health. The products tend to be cheaply made, using poor materials and cheap labor, all so that they can sell you a $5 shirt. That $5 fails to take into account the workers in sweatshops barely making enough to live on, who are forced to work long hours in dangerous conditions. It also does not reflect the enormous amounts of pesticides and water that go into growing the cotton, or the toxic chemicals used to dye the garments. Fast fashion is responsible for the majority of resource depletion and greenhouse gas emissions of the fashion industry. Some major companies that use this approach are Forever 21 and H&M, but most international, cheap clothing is fast fashion. Microfiber pollution: Microfiber is a synthetic fiber used in clothing production. One polyester garment contains millions of plastic microfibers. Almost 1,900 microfibers can be rinsed off of a synthetic garment every time it is washed, and these microfibers can end up in aquatic ecosystems. Microfibers do not break down and are responsible for the death of up to 100,000 marine animals per year. These small, almost invisible fibers are trashing our oceans and killing our marine life. Chemicals: Chemical use is widespread in clothing production. Pesticides are used when growing non-organic cotton and linen for clothing. The use of these chemicals can cause soil and water pollution while it is growing and they can stay on the fabric after it has been turned into clothing. Additionally, chemicals like formaldehyde are used to create clothing that doesn’t wrinkle or become mildewed and dyes for clothing contain hazardous chemicals such as PPD. These pesticides have been linked to cancer, water contamination, soil degradation, and animal death. Carbon Dioxide production: The creation of a new article of clothing requires a lot of energy and resources. One new polyester t-shirt creates an average of 5.5 kg of carbon dioxide, while a new cotton t-shirt produces 2.1 kg of carbon dioxide. This adds up to 0.72 billion tons of carbon dioxide produced by the fast fashion industry per year. 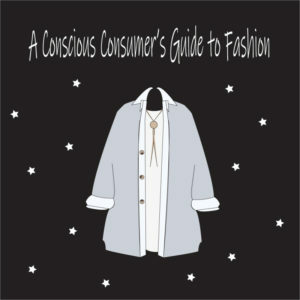 Resource use: The fast fashion industry produces 20% of global waste water due to the treatment and dying of textiles. On average, one cotton t-shirt uses 2,700 liters of water. One textile mill can use 200 tons of fresh water per one ton of dyed fabric. Very little of Earth’s water is usable, and this industry is using up a lot of it. ← Are you in a financially abusive relationship?